Black, Bold and Beautiful- The Tamara Black 8-9mm AAA Quality Tahitian 14K White Gold Pearl Earring Set is the set that was made to impress. 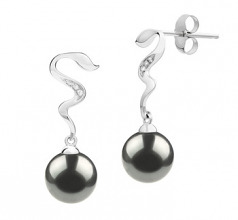 The 8-9mm size is perfect as a dangling design. 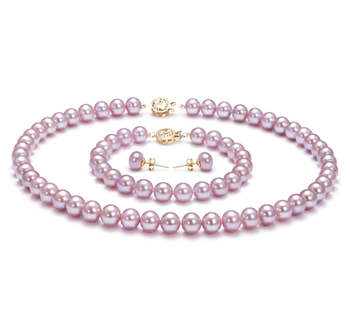 The (AAA) near perfect shape provides a knock out style with its gentle sway as you walk past the stares and envious glances. 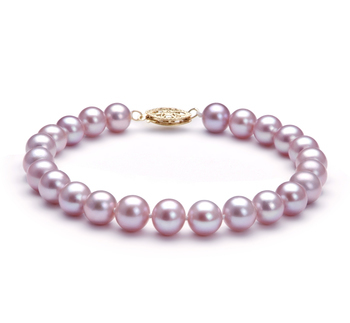 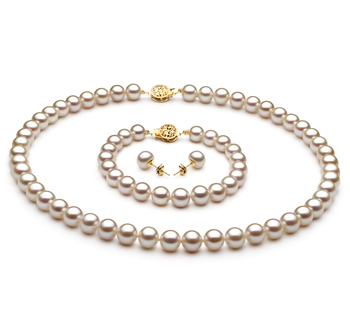 The magnificent (AAAA) luster creates a dazzling glow across the pearl that leaves its mark so well that it extends up the 14K white gold before bursting off the three diamond accents. 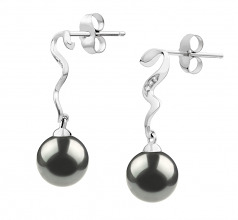 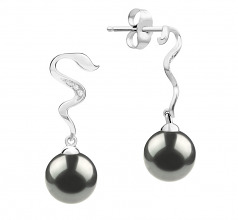 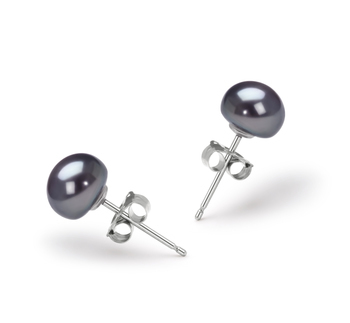 The bold black look of the Tahitian Pearl captures the essence of anything in your wardrobe. 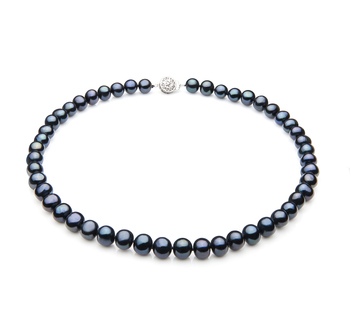 Black on black or any other color, with this set and the fantastic combination of diamonds, white gold and the perfectly sized Black Tahitian Pearls, you can’t go wrong.